Managing and planning your inventory is a complex job. 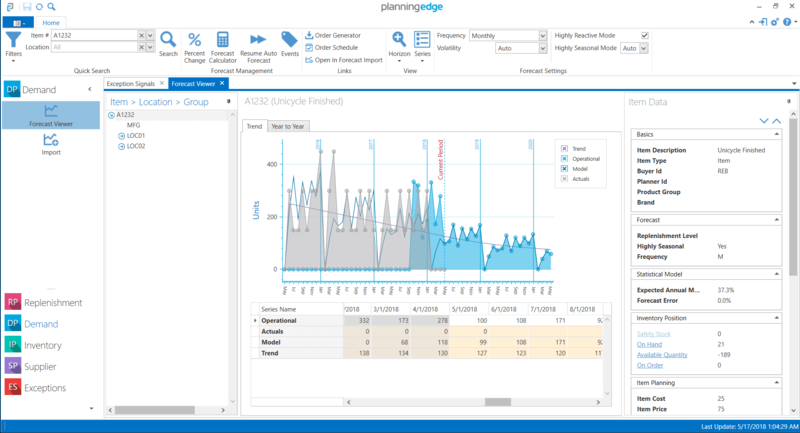 PlanningEdge connects directly with Acumatica and enhances its capabilities, helping you automate planning, and gain detailed oversight and control over your inventory. You will receive an immediate ROI by saving planning time, streamlining inventory, while keeping your customers happy. 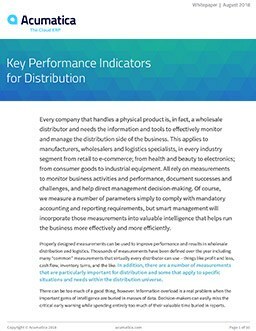 Integrating demand forecasting with inventory targets and supplier performance to generate a streamlined replenishment order plan – all within one solution – PlanningEdge delivers the tools you need to make the right inventory and replenishment decisions. 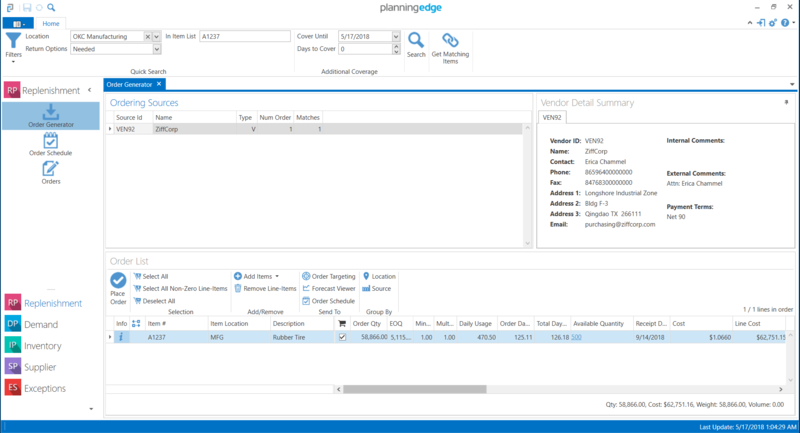 With PlanningEdge you receive the following features: Automated Demand Planning, the ability to receive exception signals and act on those signals, detailed forecasting, and the ability to place and manage orders from inside the PlanningEdge application. This is an inventory platform for planners, not programmers. The core PlanningEdge team has been leading the creation and innovation of inventory optimization solutions for nearly two decades. PlanningEdge is a 100% cloud platform. 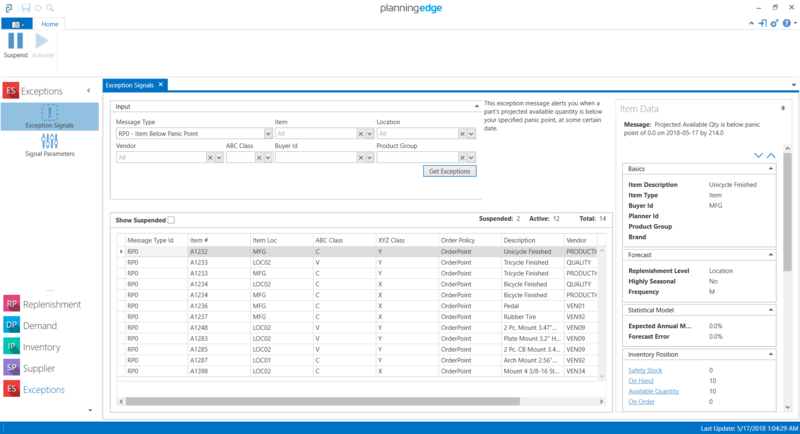 PlanningEdge is a first of its kind technology platform focused on inventory intelligence. We incorporated the popular features and functionality of a legacy planning company, RockySoft, into our platform, thus bringing a truly innovative product to market. The PlanningEdge platform represents a true enterprise class software add-on to Acumatica systems, and can be offered to all business sizes, at a fair price, while still driving innovation in the inventory optimization sector. This Acuboost enhancement allows for tracking of inventory in transit by allowing users to create container transactions.